JAM, CRUSH, & MATCH three or more candy like gummies and blast your way through thousands of ? FUN levels in this FREE puzzle game. 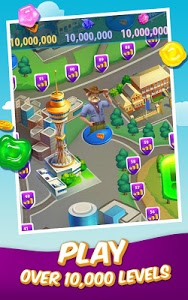 Solve puzzles and rebuild famous landmarks. 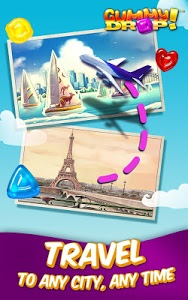 Download the game that over 40,000,000 people are already playing worldwide! 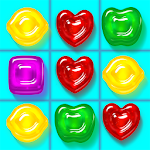 CRUSH combos of sweet gummies alone or challenge your friends to see who can get the highest score! 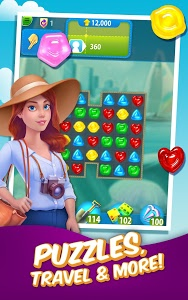 Matching candy like pieces is so exciting you won’t want to stop playing this ? 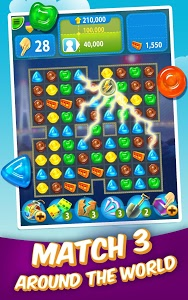 addictive free match-3 puzzle game. LET’S GO GUMMY! Similar to "Gummy Drop! 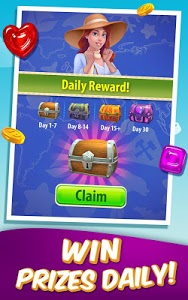 – Free Match 3 Puzzle Game"